I entered skeptical. I left a believer. I have never seen an episode, or even an accidental segment, of Gordon Ramsay's hit television show, Hell's Kitchen. Cooking shows, in general, frustrate me; I find no pleasure in watching people parade around food that is not immediately accessible to me. From what I've gathered, Ramsay likes to scream, and I like to sit quietly, as sheltered from drama as a person who is in 17 group chats can realistically be. But this March, I decided to visit Ramsay's recently opened Las Vegas restaurant, Gordon Ramsay's Hell's Kitchen—which is modeled after the set of the show (with chefs dressed in teams of blue and in red, as the contestants are)—to see what all of the fuss was about. 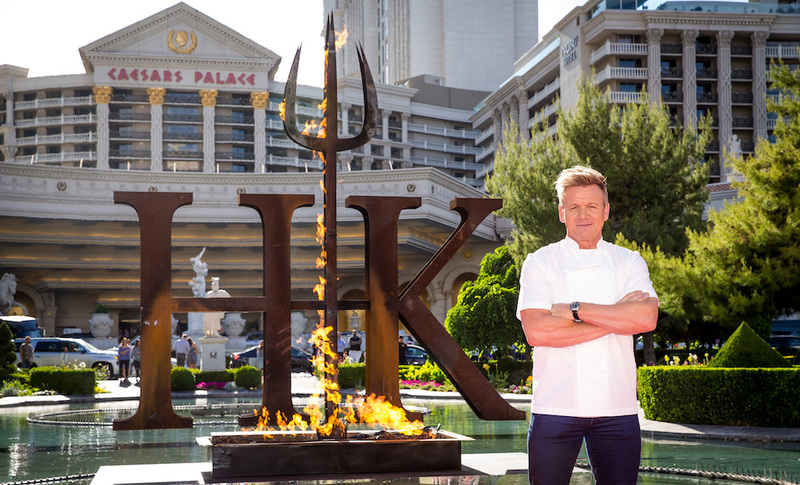 As Ramsay told the L.A. Times, "It's like walking onto the Hell’s Kitchen set in L.A." Located in Caesar's Palace on the Strip, Hell's Kitchen greets guests at the door with a lifesize video of Ramsay yelling commands and insults, all of which seemed pretty fair to me. Inside the Hell-themed, pitchfork-accented restaurant, a slew of surprises awaited me. Here are seven takeaways from my dining experience at Ramsay's fifth Vegas restaurant, if you're considering checking out the place yourself. 1. The space is airy, comfortable, and pleasant. In stark contrast with the way it's been branded (DAMNATION! SCREAMING! HIGH-STAKES CHOPPING! ), the space is a low-key delight, even if the industrial hellscape styling is a little heavy-handed. The restaurant is quite large—it seats over 300 people—and there's plenty of room to breathe, and even a large area in front of the open kitchen where fans can take photos (and waiters kindly offer to take them for those who feel too sheepish to ask.) The vibe, to put it simply, is warm. But not, like, Hell warm. 2. The food is quite solid. 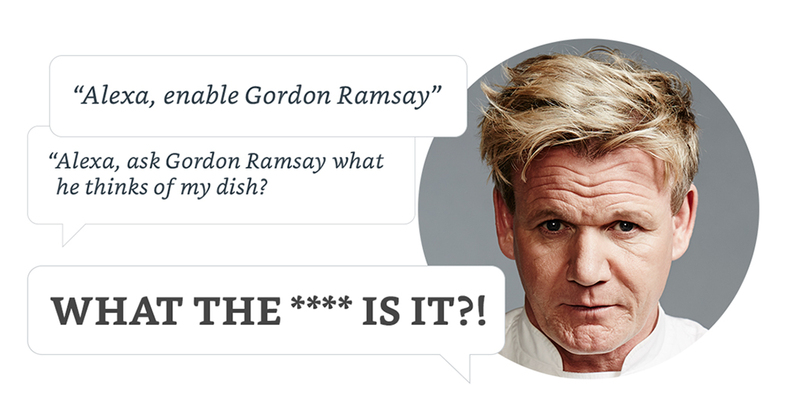 Despite having built an internationally recognized persona through his show, Ramsay is a chef first, and even amidst the spectacle, the quality of the food here is as loud as his insults. His signature, beef wellington, is the pinnacle of what that dish can be: tender, deeply flavorful and simple, no need for distractions, just well-seasoned beef and pastry coating, both impeccably cooked. The sticky toffee pudding dessert, topped with soft speculoos ice cream, can only be described as super sensual. I ate the whole thing, saying "now this is my final bite" before each bite. There were, of course, missteps. The side of cilantro-covered Brussels were tossed in a cloyingly sweet sauce, but that was my fault for trying to eat a vegetable. The cauliflower, while tasty due to butter, didn't need so many breadcrumbs. 3. Did I mention that the Hell theme is heavy-handed? I did? Well, it bears repeating. We're in Vegas, though! Everything is a show, even nourishment. When the heavenly smoked golden beet salad arrived at my table, the waiter lifted a rounded glass cover from the plate, causing puffy white smoke to whoosh up towards the ceiling. Somewhat miraculously, the beets, which sat atop a rich yogurt sauce, were not over-smoked; the dish was perfectly balanced. 4. They got a beer. The beer list includes Hell's Kitchen Special Brew (Hop Revolver IPA) by Stone Brewing, a fine beer from Escondido, California that you can only drink at the restaurant. I enjoyed it! 5. The price point is high but not exploitative, making it accessible to most Vegas tourists. Generously portioned entrées hover around the 20 to 40 range, though the most economical deal by far is the HK Signature Pre-Fixe menu, which at $69 gives you an appetizer (the pan-seared scallops are advisable), the beef wellington, and sticky toffee pudding for dessert. 6. The service is really sweet. The staff makes everyone feel welcome, even though that clashes with the gimmick. I was touched by how ready servers were to take super fans photos in front of the kitchen, which is almost identical to the one on the show, I'm told. (Diners, in Vegas from all over the world, seemd really, really excited to be there.) Despite the initial press release claim that the restaurant's "guests will feel transported to the studio set, as if they are participating in the globally popular television show," guests are treated with more grace, patience, and kindness than actual Hell's Kitchen contestants are—which came as a huge relief to me, someone who is always on the verge of tears. Y’all!!! Its getting so real! Check out the team briefing before our first friends & family dinner service!! 7. I'm filled with regret for not purchasing a Hell's Kitchen-branded "Go To Hell" t-shirt and tote bag at the merch section. I must return to Vegas.